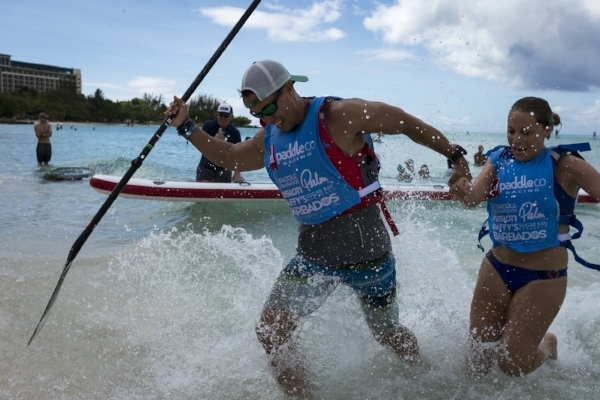 "The Red Paddle Co Dragon World Championships in Barbados was absolutely one of the best experiences that I’ve been a part of in the paddle board world. I thought of it as SUP Olympics with athletes from all over the globe. The event itself was held in beautiful Barbados. The setting was perfect. With warm temperatures, a light cool breeze and the bluest tropical waters I have ever seen. And did a I mention the stunning sunsets...Quite possibly heaven on Earth. Paddleboard Barbados did an outstanding job hosting us while there. It was our little Paradise in the sand. Providing insight and local knowledge to all looking for adventure and fun outside the competition. While competition was the objective, I feel like we all walked away with relationships and memories that will last a lifetime. The Dragon board itself is unbelievably awesome. No matter what your skill level, it's provided the catalyst for great teamwork and unity. I was amazed by Red Paddle Company’s ability to create a board with stability, glide and speed that also accommodates four individuals. I was truly honored to be a part of this incredible event. I would thoroughly encourage anyone looking for an epic worldly experience to participate in any future Red Dragon Competitions." Find your team and get ready to unleash the dragon at the ultimate SUP event! Join us for the Dragon World Championships 2018.